When she moved to New York in the fall of 1960, coming for the bright lights and glitter, the girl stayed in a hotel called the Pickwick Arms on East 51st Street between 2nd and 3rd Avenues. Today it’s the trendy Pod Hotel, but in those days, it was known as a haven for young college grads like herself because it was cheap and respectable but did not enforce celibacy, as the Barbizon Hotel for Women did. She had a single room with a sink, twin bed, telephone on a nightstand, desk, chair, and a little closet, but no air conditioning. The bathroom was down the hall. She used to pad down the hall in her bathrobe, with a towel and bar of soap in hand, hoping the bathroom would be free, and it usually was. The room was $30 a week. In the hot September evenings after she arrived, she used to stand at the wide open window in her room to get a breeze, listening to the taxis honk their horns and thinking how exciting it sounded. The twinkling lights outside her window were thrilling; she was reading “The Best of Everything,” a novel by Rona Jaffe that was about girls like her, just starting out in New York. The girl’s sister had come to New York a year earlier and was working for a Sunday newspaper supplement. 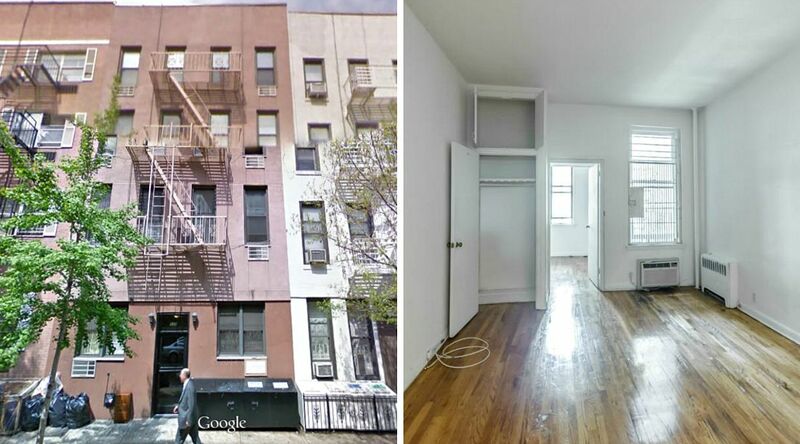 She had a one-bedroom apartment with a roommate at 317 East 78th Street between First and Second Avenues. When they had gone to look at it, they observed that the bedroom was too small for two beds. The landlady said they could buy cots—not a response one would expect today. But they did, and that is also not a response one would expect today. Cots are 29 inches wide. Both girls had boyfriends, whom they married within a couple of years. Love finds a way. At one end of the East 78th Street living room, next to the door, were the usual kitchen facilities—stove, sink, fridge. The room was maybe 10 by 12 feet in a renovated tenement that had been built around 1910. 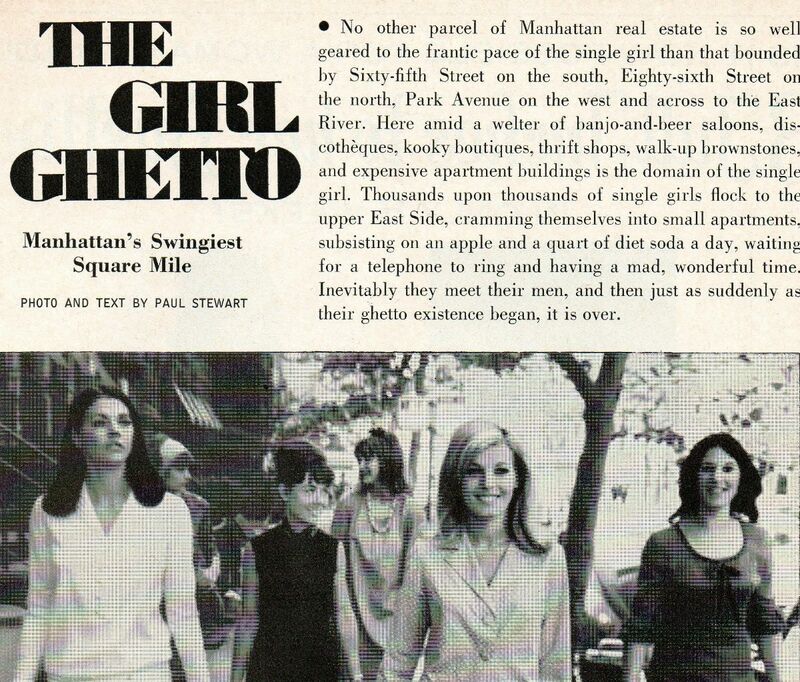 There were lots of those on the Upper East Side. The roommate had flair and decorated the flat with Indian bedspreads—on the cots, on the window, and draped over the steamer trunk that served triple duty as coffee table, dining table and foot rest in the living room. The place seemed comfortable three flights up. They paid $120 a month, $60 each, a mere fraction of the $1,800 those apartments are renting for today. So it made sense to the girl to look for a roommate and plan to live on the Upper East Side like her sister. Jim, a high school friend, introduced her to his girlfriend and the two girls got along well enough. Jim was studying law at Columbia, and when they were well into their negotiations, he said he wanted his girlfriend to live near Columbia. Our heroine realized suddenly that Jim would be making all the decisions, not just that one, so she broke off the negotiations and looked for a place on her own. An ad in the Times drew her to a place on Mott Street in Chinatown, which she was unfamiliar with but gamely took the subway to see. The buildings appeared dirty and rundown with small apartments inside. Years later she learned that some of those apartments were pleasant, even sumptuous, but at the time she turned away without seeing any. Another ad listed a place at 428 East 81st Street between First and York Avenues, not too far from her sister’s apartment. It was on the second floor in the front of the building and had one main room with two windows at the end and a large kitchen area with wasted space. It was $90. By this time it was clear she was not going to start work anytime soon as an editor at a publishing company. No one with whom she had interviewed had exactly laughed at her, but they had smiled indulgently and made it clear she was unqualified. So she looked more broadly. One ad read “Secretary to psychiatrist. Coll grad. Expert typist. Psychiatric or psychological editing exp necessary. Drive a car. TR 6-5310.” It paid $80 a week. Other secretarial jobs were paying $75, so this wasn’t too bad and she could just afford that $90 apartment. Plus, it was at Madison Avenue and 78th Street, within walking distance. She was offered the job and took it on October 5th. She took the apartment too. 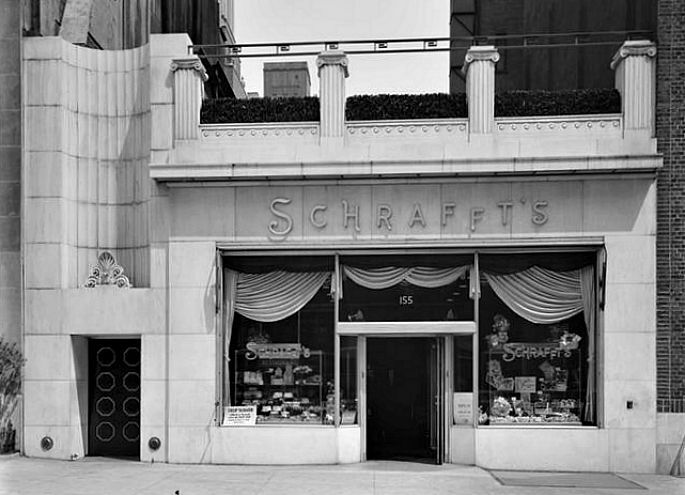 The shrink let her know he was highly esteemed and had famous clients, whom she met when she opened the door for them; and he took her to lunch at Schrafft’s, which saved her money. He had her drive him around to various appointments and offered her the use of his car on weekends. Sweet. However, there were only the two of them in the office and the chase was on pretty quickly. After two or three weeks, the esteemed doctor professed great love for the girl and eventually, that is, within four weeks, told her that if she didn’t go to bed with him she would lose her job. People get sued for that today, which doesn’t mean it has stopped. She did have a life outside work, however.